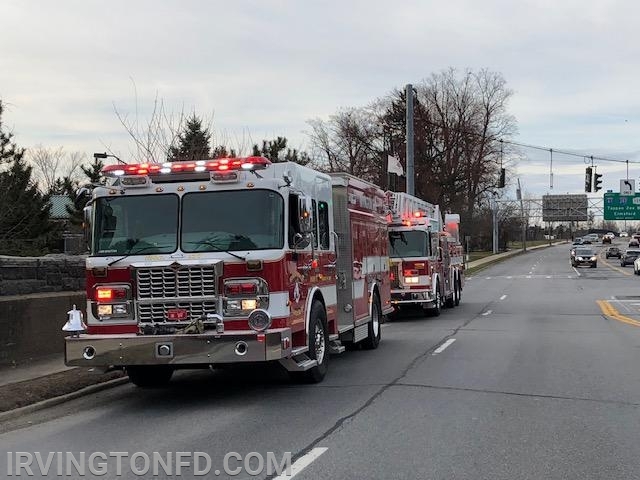 The Irvington Volunteer Fire Department in coordination with the Irvington Police Department welcomed the Irvington High School Varsity girls basketball team back from their Class B Federation title in Glens Falls NY with a victory parade on Sunday. The parade started as the team bus exited I-87 and ran down Broadway, down Main Street and ending on the High School campus. Congrats on a great win and fantastic season!